Geerd N. Hendal (1903-1998) yacht designer of Camden , Maine. 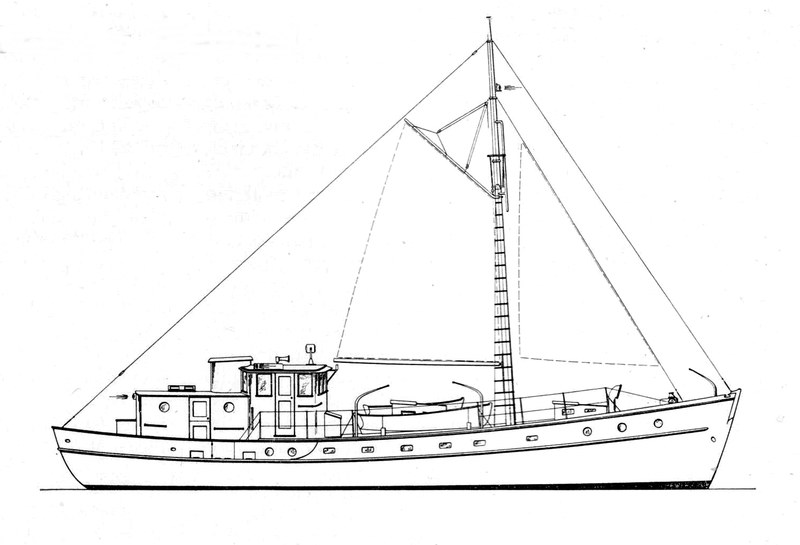 These drawings were published in The Rudder Magazine of April, 1948. I would guess this was an early proposal to Drayton Cochran for Little Vigilant (launched 1950 to a Walter McInnis design). 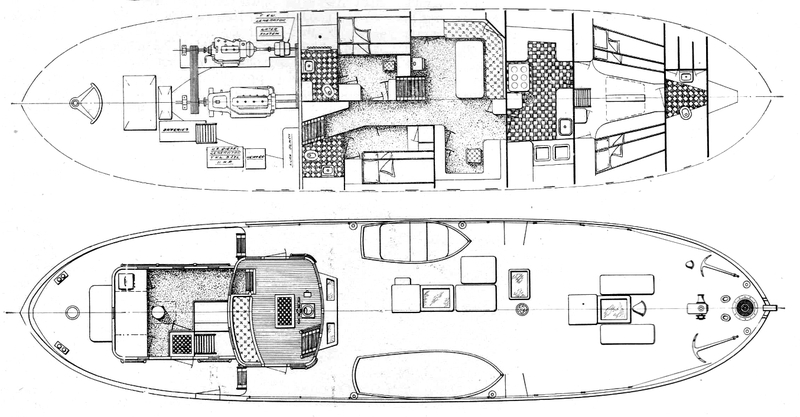 Geerd was a well known yacht designer at the time but I have a feeling that his heart was not quite in this one. McInnis used a commercial herring carrier hull that is far prettier with lot’s of shape in the ends. This one is 69′ x 16′9″ with 7′6″ draft. Construction was to be wood, that single big fuel tank seems unlikely, and all the topside ports raise questions about framing. Power is a single 6-71 with an auxiliary 2-71 turning the main shaft via a big belt.